My parents moved twice in three years: when both my older brother and I were freshmen in college. This little trick serves to throw a wrench into the summer social life of a college student. My high school friends were all 400 miles away and so for "fun" I'd help my mom harvest beans from her garden: a garden so large we could have opened a produce stand out front. What was my dad thinking? Beyond our property was a scrubby field and woods, home to a variety of animals and most notorious: blue jays. Aggressive and greedy, these birds have a real attitude. They used to dive-bomb our cat, and there must have been something of interest in the garden because they also dive-bombed me. One scorching hot afternoon as I bent over the bean plants in my swimsuit top, sweat pouring off me, something swooped and swooshed against my bare back. I looked up in time to see a blue jay take off beyond the garden. I was so freaked that it took some doing for mom to coax me back to the garden. What was to stop another bird from pecking a hole in my back? Of similar, or worse, temperament are horse flies: the blue jays of the insect world. Those same college summers, I threw away my brain and agreed to camp counseling jobs in the backwoods east of Memphis, Tennessee. This is the Mississippi Delta, were the humidity is 125% and the mosquitos, chiggers and horse flies outnumber everything and everyone. Kamp Kiwani boasted a fabulous horse camp, which attracted horse-loving girls and a healthy horse fly population. Not only do horse flies love horses, they also are attracted to water. Each night in the bath house, I'd make sure I had my soap, shampoo, and towels in order. A washcloth was handy for whacking the horse flies, who would join us in the bath house and bite us as we showered. If you were still in your cabin, you could hear the vicitims' screams coming from the bath house. Like blue jays, horse flies are aggressive and will attack boldly, unprovoked. I detest them for this reason. Their bite hurts like heck. And so, in the midst of our midwest heat wave, how I appreciate air conditioning. No one is making me pick beans, and I have yet to see a horse fly in my shower. Thank you, Lord! 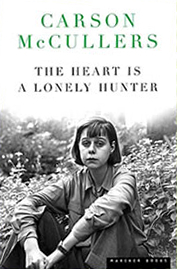 I'm attempting to read The Heart is a Lonely Hunter by Carson McCullers. Were it not for my mother, I might never have discovered McCullers. Mom was intrigued by McCullers and introduced me to her writing when I was a young teen. My reading log doesn't include it, but many years ago I read Member of the Wedding and later Ballad of the Sad Cafe. Carson McCullers was born Lula Carson Smith in 1917 in Columbus, Georgia. At the age of 13 she dropped 'Lula' and became Carson. Initially, Carson planned to be a concert pianist and even attended Juilliard, but soon pursued writing. Carson had a tumultuous marriage to Reeves McCullers, suffered years of illness and strokes, and even attempted suicide. She died from the effects of a stroke and brain hemorrhage at age 50 in 1967. I'm not much of a book reviewer; my mind is not excellent at analyzing literary works. What intrigues me is the writer and her process; her place in life and ability to overcome personal struggles and write a literary sensation at the age of 23. Tennessee Williams called McCullers "the greatest prose writer that the South produced." What makes the mind of such a woman tick? Why have so many incredible writers come from the South? How can one so young write with such depth, power, emotion, and darkness? I will read her work. And whether I finish it with more questions than answers, I'm sure to be intrigued by Carson McCullers. Summer is usually when I read the most. I read two books in a week while in Michigan two weeks ago. Now, with June almost over, I need to line up a few more books. Sometimes (usually) I have a hard time deciding. I typically read only one or two novels a year. Love biographies. Bonhoeffer was amazing and I have John Adams by David McCullough, but not sure if I want to tackle another long biography. Love stories of faith. I like books on people who overcome adversity. And psychology fascinates me. Then there's writing. My well of blog post ideas is running a little dry. Any ideas? For that matter, any book recommendations? What are you reading this summer? Suggestions welcome! Reading and writing ... yes, those are what I love. Arithmetic? No, thank you! Ashlyn Claire, my second-born granddaughter, turned one yesterday. I'm sorry for the belated greeting, Ashlyn! I will admit that I don't feel I know Ashlyn as well as I do her big sister Ari. When we visit, I'm often playing with two-year-old Ari and keeping her occupied. I know this will change as the years go on. Ashlyn seems to be a girl who doesn't walk the middle ground. She's either full of joy and smiles, or she lets you know - loudly - what she wants or doesn't want. You know where you stand with Ashlyn. But oh my. She loves to play and laugh, adores her sister and her eyes will melt you. Happy birthday, sweet Ash. I can't wait for the years ahead with you! Seven years ago this very month, my son Mark began dating a cute girl from his high school class. He hadn't dated in high school, so this "sudden" girlfriend took us by surprise. But as soon as she walked in our house, I liked Jill immediately. Her smile lit up the room. Her laugh was contagious. And her red hair gorgeous! she was also increasingly interested in God. talking, praying and studying the Bible. It was a beautiful thing that drew us closer. Best of all, Jill drew closer to God. and now Jill is a mother ... to Lily, our third granddaughter. For many years I've prayed for my children's future spouses. That God would choose, keep and protect them for my children. How God has honored those prayers in Jill! Today Jill turns 25. She loves and supports my son. 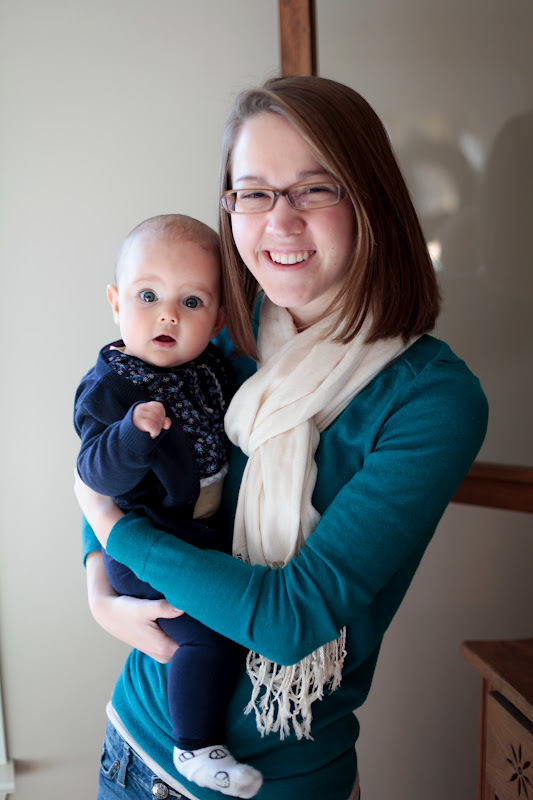 She's a devoted mother and has embraced motherhood so beautifully. She's a sister to my other children and a cherished daughter to me. and eats lots of salads! I love you and am so thankful for you! Mark and Jill on their wedding day, August 1, 2009. 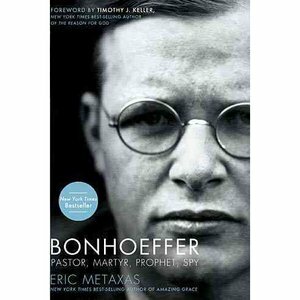 I finally finished reading Bonhoeffer by Eric Metaxas. It took four months to make my way through 544 meaty pages. I challenge you to take on this book; it's incredible. Incredibly, it was Paula Bonhoeffer who probably contributed to her son's eventual demise in prodding and challenging him to speak publicly against the Nazis and truly live out his faith. I kept asking myself, "could I do that?" The book's subtitle, "pastor, martyr, prophet, spy" are all detailed in the book. Bonhoeffer became an academic theologian and eventually felt called into ministry. His magnetic faith in God and love of others drew people to him. He and his family could see the writing on the wall as Hitler came to power. They had an uncanny ability to see, through Hitler's early workings, that the future of the German people was in great peril. And so, in what he saw as obedience to God, Bonhoeffer immersed himself as a spy in a series of conspiracies against Hitler. He willingly put himself in grave danger and in fact accepted that he might lose his life in his pursuit to assassinate Adolph Hitler. Bonhoeffer was imprisoned for two years and never got to marry Maria von Wedemeyer to whom he was engaged. Just three weeks before Hitler took his own life and the war ended, Bonhoeffer was executed along with other conspirators, their fates sealed when documents of the conspiracy were discovered and given to Hitler. On the morning of his death, April 9, 1945, Bonhoeffer kneeled and prayed fervently. Said the doctor who witnessed Bonhoeffer's execution: "in the almost fifty years I worked as a doctor, I have hardly ever seen a man die so entirely submissive to the will of God." Since I was a child, I've been fascinated by biographies. I love getting to know a real person, not a fictional character described in a novel. This one was difficult to read, the German names and intricate details and events confusing at times. And though I knew the story's agonizing outcome, Dietrich Bonhoeffer's amazing life pulled me along and affected me like no other. Saturday morning dawned bright and clear in northern Michigan. We were packing to leave for home, but one thing remained on our list: visit the Presque Isle wooden boat show, an annual event for 20 years. Tucked in Presque Isle harbor on Lake Huron, the entries reflected not only the shimmering June morning, but also a love of a time gone by. The boats' owners have invested countless hours in bringing flawless, simple beauty back to their wooden boats. Just a stone's throw from here, our lake, Grand Lake, is a place just a bit removed from modern scenes. Oh, you'll see the jet skiers during July 4th week, but for the most part it's ten miles of decades-old cottages and boat houses dotting the shores. You're more likely to spot a lone fishermen off the point in the early-morning haze and hear the call of a loon as you sip your coffee. You'll still see people cruising by in a wooden boat on occasion: a man driving proudly and a woman in sunglasses, a thin scarf waving from her neck. OK, perhaps an exaggeration! Happy Flag Day! Flag Day commemorates the adoption of the flag of our United States in 1777. So today is Flag Day number 235! 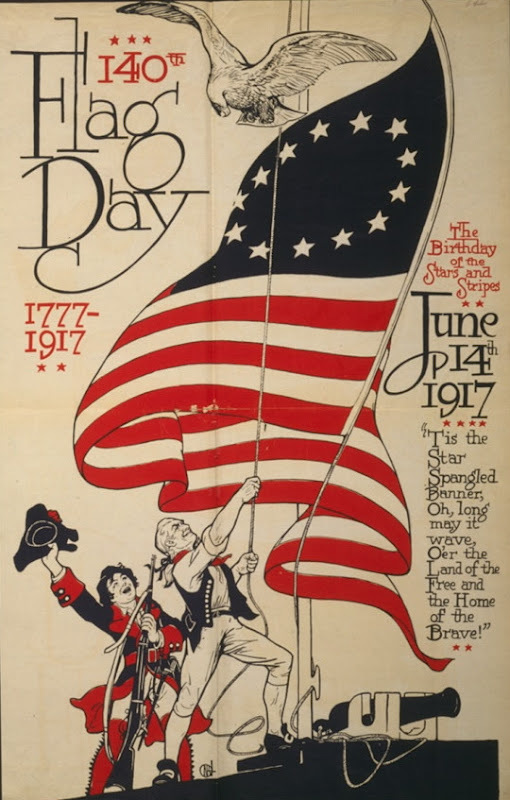 In 1917, a poster commemorating the 140th Flag Day was unveiled. I love it. And I love the American flag and that she represents the liberty, freedom, sacrifice, independence and democracy of our country. 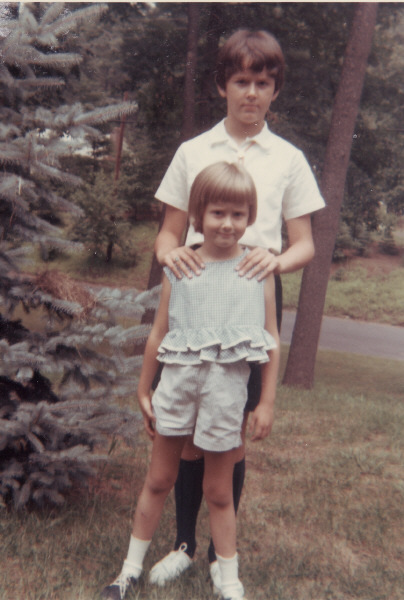 Just over a week ago, my sister Anne and I met in Nashville to visit our dad. He's officially under Hospice care, though we've come to learn this can mean many things. It can mean that our goodbye won't happen for some time. Dad still knows us, and he's a favorite among the nurses and attendants. Though requiring a high level of care, Dad is still witty and conversational. However, dementia is causing his mind to take detours. It's at times funny, but also sad. that has no logical conclusion. My step-mom Sally visits Dad daily and shares a meal. After many years of a fulfilling life together, this can't be easy for Sally. takes Dad on strolls and out for fresh air. She gives him extra companionship and attention. We're so thankful for Sally and Lisa. Regretfully, I don't think I spent enough time with Dad in recent years. If you still have your parents, love them. Spend time together. Honor them. Because someday everything could change. What's with this aging thing? Inside, I feel like I'm still in my 20's or 30's, or even still a child. built a fort in the woods with my brother, or a snow tunnel in winter. on a blanket in the yard with my best friend. and - my favorite - doing crafts in the craft house? I spent a year saving $25, half the cost of two weeks at camp. My parents' rule was, I paid half, they paid half. My college, newlywed, and young mother years are equally vivid. Five years as "just us" before children. 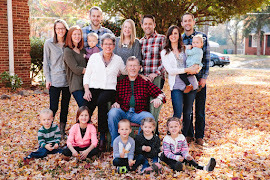 the intense, stressful, but crazy fun of raising them for 25 years. But then someone says or does something that makes me realize those days are far behind me. I work with a special little girl and sometimes accompany her and her mom to doctor's appointments. The doctor usually assumes I'm the grandmother, and I realize that I easily could be. as they would their grandma. My 22-year-old daughter and I spread mulch the other day. She was way quicker than me. The kids are naturally more tech-savvy than me and have taught me most of what I know. It's amazing to learn from them. But then, our years, no, decades of living have taught us much about - living! For instance, being with my granddaughters stirs up all sorts of memories of what works with little ones. How to hold them, play with them, and soothe them. Then there's meal planning and cooking without recipes, all second nature to me now. And how to read the face of a hurting friend. And that I'm probably not going to accomplish anything overly amazing in this life. So. Inside I could be ten or twenty. But outside I'm not. My grandparents were all born in the late 1800's. My grandchildren and their children will likely live to see the 22nd century. will span four different centuries. my husband Bill would say: "the jury's not out." so I have a few things to say about raising them. First, my kids aren't perfect. And I'm not perfect, not by a long shot. and exasperated my children at times. Some days I felt like a horrible mother. But I want to share what I thinks works in raising kids, and what doesn't. You chose to have children; they didn't choose to be born to you. They aren't returnable, so do your best to love and cherish them. Remember they won't be yours forever. I believe they're a gift from God, on loan for a time. Your main job, from the moment of their birth, is to prepare them to leave you. Do for them only what they cannot do for themselves. Like brushing their teeth for them at 18 months old. or do their laundry once they're old enough to do it. They will soon have to do these things on their own. And if you've done it all for them, then what? They will try to give you crap from a very young age. Do not take their crap. DO NOT. Crap includes disobedience, manipulation, defiance, and disrespectful talk. I don't think it includes simply acting like a child. It's hard because lots of parents take crap; I see it all the time. Even whining is crap! When crap happens, address it then and there. Don't pass the buck onto your spouse. Mothers and fathers can be equally skilled at dealing with crap. If you're sick and tired of your kids, don't tell them. Just send everyone to his room, including yourself, and read. sit on the couch with them and read and read and read. I think reading is better than any drug. Remove a disobedient child from a public place and deal with her behavior. It's ok to leave your cart in Wal-mart and go to the car for a talking-to. Or spanking-to. Don't humiliate your child and yourself by disciplining in public. And know the difference between punishment and discipline. The word discipline means "to disciple," teach or train. The more training you do early on, the less punishing you'll need to do later. and your child will have a better idea of how to act. Please think carefully about the "count to 3" method. or learn to delay obedience until you count to three, or ten? Be the parent now. It's ok to be friendly, but not at the expense of being a parent. Be there for them, but not overbearingly so. It's a very delicate balance. A dance, if you will. Try to strike a balance of rules and relationship. Take each of them out on a date now and then. It's a very special time to them. Ask about their days, their dreams, their frustrations. Even if you "don't come from a hugging family," hug them often. Remember they aren't you. They are them. Let them find who they are and be content in it. Find God and show them how important he is. Pray with them, pray for them. One day, they will be under someone else's authority and you'd better hope it's God's. Little by little, let go. Don't micromanage their lives. Trust them to do it. tell them you believe they will succeed. Then go to your room, close the door, and cry for awhile. That, my friends, is how I tried to raise my children. fix, find and figure no more! "Nothing is really lost until your mom can't find it." I spotted this little gem, from Pinterest, on another blog. And boy did it hit home. I posted it on facebook and lots of friends hit 'like' or commented. Stephanie said as she was sitting on facebook, her teenaged son was asking the whereabouts of a hat. Brenda said, "my family's philosophy!" And Diana echoed, "amen, sister." This must be an innate trait in moms: the need to fix, find and figure out for our kids and husbands. I remember asking my mom random dumb questions and her habit was to run to the World Book set in the living room for an answer. She might turn off the stove while cooking dinner to find out if Ecuador is in Central or South America. It was comical. She'd say, "well, I'm curious now, let's find out!" "Do we have any more butter?" You might check the fridge. "Do we still have colored pencils? And glue stick?" "Do we have any good tennis balls?" "I have a project due tomorrow, do we have any poster board?" Oh you do? If you're asking me to help, a trip to the store will cost you $1. "Don't we have any double-A batteries?" "We're out of Frosted Mini Wheats?!" I didn't eat them. Put it on the grocery list. Pick a bookshelf: family room, basement, living room, Dad's office, your own room. "Do I have any clean socks/underwear/jeans?" [Actually, I aced this one, teaching my kids to do their own laundry before they left home. It was off to Nashville over the weekend to visit my dad. Thanks to all of you who've offered thoughts and prayers. He's holding his own: weak and pale, but still able to get up and around, with help. My sister and I took Dad out on two drives. He seemed to enjoy the change of scenery. The drive to Nashville is pure interstate, which would seem terribly dull. look at the map with the "you are here" marker, stretch, get back in the car. But if I look around, I notice beauty beside the monotony. And so, during the stops of these 7-hour drives, I look for the beauty. Kentucky sky, Kentucky field, right behind the rest stop. Don't forget to look up. There's glory and honor up there! if I didn't photograph them.